Dena Ventrudo is the Assistant Editor & Photographer of Merlian News. She is a published poet and creative writer, most recently published in "Trails Through The Greenbelt" by Jack M. Freedman. Dena has a BA in Liberal Studies from SUNY Purchase College but also spent time there as a Dramatic Writing, Literature and Women's Studies major. According to Wikipedia, "A solar flare is a sudden brightening observed over the Sun surface or the solar limb, which is interpreted as a large energy release... (about a sixth of the total energy output of the Sun each second). The flare ejects clouds of electrons, ions, and atoms through the corona into space. These clouds typically reach Earth a day or two after the event. From my research I have deduced that there is some connection between the Sun’s solar storms and our human biology, especially after an M or X class solar flare. These flares effect the magnetic field and impact Earth’s weather. Human beings also have a physical magnetic field, so it stands to reason that we too are impacted by solar activity. After strong solar activity on the sun, earthquakes, volcanic eruptions, hurricanes, tornadoes, and wind storms appear to occur more frequently. According to Heather Carlini, "...solar activity is known to influence human consciousness. Solar flares affect the Central Nervous System (stomach lining), all brain activity (including equilibrium), along with human behaviour and all psycho-physiological (mental-emotional-physical) response. Solar flares can cause us to be nervous, anxious, worrisome, jittery, dizzy, shaky, irritable, lethargic, exhausted, have short term memory problems, heart palpitations, feel nauseous, queasy, and to have prolonged head pressure and headaches." Carlini also reports, "The solar flares and photon waves are changing the fabric of our physical reality as they have a powerful effect on our physical cellular level, causing our cellular memories to awaken and clear. We often experience this as the body heating up in the form of “hot flashes.” Our lower emotions are low frequency energy stored in our cells from past experiences and traumas that we have encountered and never processed —so they become stored as cellular memories. Photon energy is a much higher frequency energy that pulls up the lower emotional frequency so it can calibrate to the higher frequency.... thus we find ourselves releasing these lower emotions of sadness and grief without knowing why. These spells will last for about twenty minutes and we are left wondering where these feelings came from out of the blue. The elements of our blueprint are interfaced in the cellular consciousness and when the blueprint is amplified through photon energies various elements of the blueprint leak into your consciousness and we begin to remember our soul’s purpose. We are pulled to make changes in our life but we don’t really realize why. The interesting fact about this energy is that since it is of a higher frequency it creates the power of instant manifestation of our thoughts, which means whatever we think, we create instantly. This never before happened in our lifetime and that is why many people are writing books on the subject on the Power of Attraction." I have noticed that a lot of people are feeling agitated recently. Some have even described feelings as heavy as an impending doom. Solar flares have the potential to break up old thought patterns that are no longer necessary so new patterns can begin. This time of change and upheaval can make us feel wound up and fatigued at the same time. And much like Mercury in retrograde, it can make a mess of technology, like computers. I have often discussed this with my co workers, colleagues and a few close friends. We seem to be losing track of time. Most days it feels like time is speeding up and occasionally it feels like it is moving unnaturally slow. We all know time is relative, but we all seem to be experiencing tangible symptoms of what is really a quantum phenomenon most of us only understand from science fiction books and movies. We leave out words when we are speaking or writing emails. The day simply disappears. Looking back at a week when it is over, we often have trouble remembering the details of it, and the previous weeks seem like a blur. We are not sleeping very well, if at all. There is a lot of tossing and turning in the night, sleep walking and many of us are having really strange or intense dreams. In addition, Carlini reports, "We are feeling huge power surges in the body followed by energy drops. There were many reports of nausea, and body aches and pains and dizziness. Many feel deep grief. Some feel like they were walking on water (ungrounded). Others said that when they closed their eyes at night, everything is spinning. There have been visual disturbances, inner ear issues, ringing in ears, throat and thyroid issues, cold feet and even a weird symptom of having tongue dryness." Heather Carlini C.M.Ht/ is a medical intuitive & Energy Medicine practitioner. She says that during these times of strong solar activity and solar flares, "it is important to drink extra water so the body can process them easily. It is advisable to also take Omega 3 for the mitochrondria." 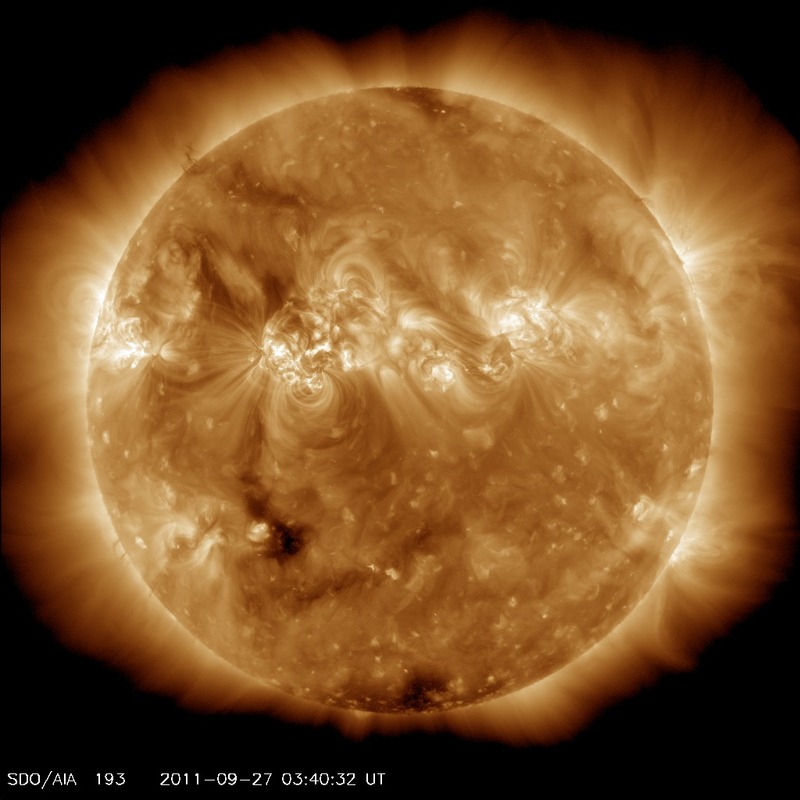 For images & updates on solar activity as well as geomagnetic storms, check out spaceweather.com.